Should My Ovaries Be Removed ? Shirley was a Forty Three year old executive for an internet company. She came to see me because of irregular bleeding from massive uterine fibroids. (see image at left). The continuous bleeding interfered with her lifestyle and caused severe fatigue from the iron deficiency anemia. I had proposed a procedure called hysterectomy because the fibroids were very large. Shirley went home, and after thinking for a few days, finally accepted she would go see her OB/Gyne surgeon to schedule the operation. Left image: Diagram of cross section of uterus. Red Arrows point to uterine fibroids . Courtesy of wikimedia commons. Uterine fibroids are benign growths in the uterus that sometimes enlarge and cause irregular bleeding, and pressure symptoms. 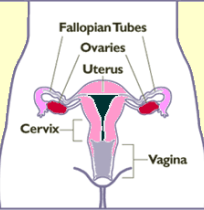 They are fairly common and can be detected with pelvic examination, and confirmed with pelvic sonogram and MRI scan. Massive uterine fibroids are most commonly treated with a surgical procedure called hysterectomy which removes the uterus and fibroid tumors. Treatment is usually successful with a good outcome. So now Shirley was again in my office asking for my opinion. Should she go against the surgeon’s advice and insist on preserving her ovaries, or should she follow the surgeon’s advice to have a COMPLETE hysterectomy with removal of the ovaries ? 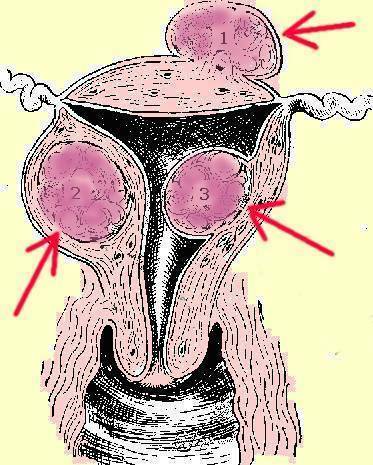 Left Image : Diagram showing Ovaries (in red). Uterus is Pink. Courtesy of Wikimedia Commons. The ovaries are important because they are the hormone factories that pump out women’s hormones on a daily basis. 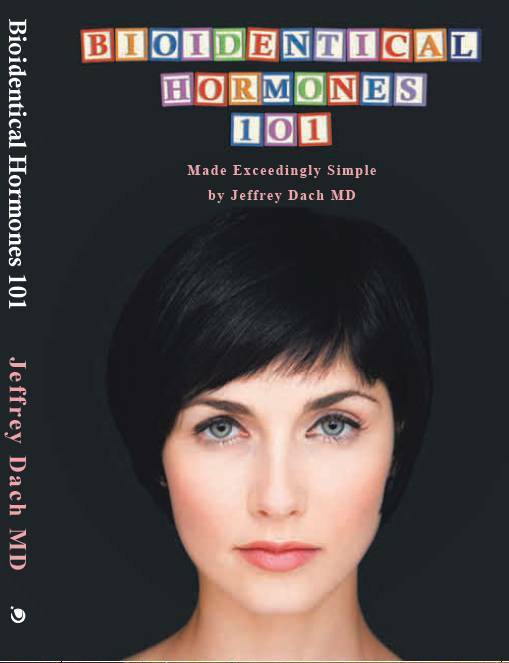 Removing the ovaries removes the source of women’s hormones causing all hormone levels to decline to low levels, immediately sending the woman into Menopause. 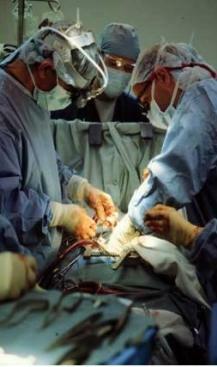 Left image: Surgeons performing hysterectomy courtesy of wikimedia commons. In a second study, Dr Cathleen Rivera followed 1,000 Pre-Menopausal women (under age 45) after hysterectomy, and found that removal of the ovaries resulted in a disturbing 84% increase in death from heart disease. However, if these women were given estrogen replacement after ovarian removal, they were protected with a 35% decrease in mortality from heart disease. (2) I thought this was rather impressive. These two studies provide convincing evidence of the health benefits of hormone replacement after hysterectomy. Although the patients in these two studies were given Premarin which is a natural hormone (from a pregnant horse), we find that a cocktail of bioidentical hormones including estradiol, estriol, progesterone, DHEA and testosterone works as well or better than the horse hormones. Since all women are humans, we I consider it preferable to prescribe human hormones rather than hormones from pregnant horse urine (Premarin). Left Image: pregnant horse, courtesy of wikimedia commons. 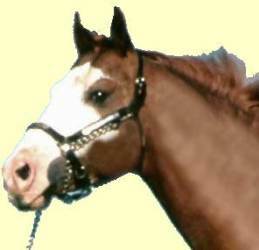 Why use horse hormones when human hormones are available? What about preventing ovarian cancer and breast cancer in high risk groups? For women at high risk with familial breast and ovarian cancer, and positive BRCA genetic markers, Dr Parker says it makes sense to go ahead with removing the ovaries for these people in high risk groups. Women who avoid estrogen therapy after hysterectomy die prematurely. OBJECTIVE: To report long-term health outcomes and mortality after oophorectomy or ovarian conservation. METHODS: We conducted a prospective, observational study of 29,380 women participants of the Nurses’ Health Study who had a hysterectomy for benign disease; 16,345 (55.6%) had hysterectomy with bilateral oophorectomy, and 13,035 (44.4%) had hysterectomy with ovarian conservation. We evaluated incident events or death due to coronary heart disease (CHD), stroke, breast cancer, ovarian cancer, lung cancer, colorectal cancer, total cancers, hip fracture, pulmonary embolus, and death from all causes. RESULTS: Over 24 years of follow-up, for women with hysterectomy and bilateral oophorectomy compared with ovarian conservation, the multivariable hazard ratios (HRs) were 1.12 (95% confidence interval [CI] 1.03-1.21) for total mortality, 1.17 (95% CI 1.02-1.35) for fatal plus nonfatal CHD, and 1.14 (95% CI 0.98-1.33) for stroke. Although the risks of breast (HR 0.75, 95% CI 0.68-0.84), ovarian (HR 0.04, 95% CI 0.01-0.09, number needed to treat=220), and total cancers (HR 0.90, 95% CI 0.84-0.96) decreased after oophorectomy, lung cancer incidence (HR=1.26, 95% CI 1.02-1.56, number needed to harm=190), and total cancer mortality (HR=1.17, 95% CI 1.04-1.32) increased. For those never having used estrogen therapy, bilateral oophorectomy before age 50 years was associated with an increased risk of all-cause mortality, CHD, and stroke. With an approximate 35-year life span after surgery, one additional death would be expected for every nine oophorectomies performed. CONCLUSION: Compared with ovarian conservation, bilateral oophorectomy at the time of hysterectomy for benign disease is associated with a decreased risk of breast and ovarian cancer but an increased risk of all-cause mortality, fatal and nonfatal coronary heart disease, and lung cancer. In no analysis or age group was oophorectomy associated with increased survival. Menopause. 2009 Jan–Feb; 16(1): 15–23. We conducted a cohort study with long-term follow-up of women in Olmsted County, MN, who underwent either unilateral or bilateral oophorectomy before the onset of menopause from 1950 through 1987. Each member of the oophorectomy cohort was matched by age to a referent woman from the same population who had not undergone any oophorectomy. We studied the mortality associated with cardiovascular disease in a total of 1,274 women with unilateral oophorectomy, 1,091 women with bilateral oophorectomy, and 2,383 referent women. Results: Women who underwent bilateral oophorectomy before age 45 years experienced an increased mortality associated with cardiovascular disease compared with referent women (HR, 1.44; 95% CI, 1.01–2.05; P = 0.04). Within this age stratum, the HR for mortality was significantly elevated in women who were not treated with estrogen through age 45 years or longer (HR, 1.84; 95% CI, 1.27–2.68; P = 0.001) but not in women treated (HR, 0.65; 95% CI, 0.30–1.41; P = 0.28; test of interaction, P = 0.01). Mortality was further increased after excluding deaths associated with cerebrovascular causes. Conclusions: Bilateral oophorectomy performed before age 45 years is associated with increased cardiovascular mortality, especially with cardiac mortality. However, estrogen treatment may reduce this risk. We focused our analyses on age at estrogen deficiency rather than on the length of estrogen treatment after the surgery to study the combined effects of age at the surgery and length of treatment. Misconception About Estrogen Therapy Caused 50,000 Deaths of Women Post-Hysterectomy. By looking at the data researchers found that the media hype and misunderstanding of estrogen therapy has resulted in the premature death of 50,000 women who have had hysterectomies within the last decade. Objectives. We examined the effect of estrogen avoidance on mortality rates among hysterectomized women aged 50 to 59 years. Methods. We derived a formula to relate the excess mortality among hysterectomized women aged 50 to 59 years assigned to placebo in the Women’s Health Initiative randomized controlled trial to the entire population of comparable women in the United States, incorporating the decline in estrogen use observed between 2002 and 2011. Results. Over a 10-year span, starting in 2002, a minimum of 18 601 and as many as 91 610 postmenopausal women died prematurely because of the avoidance of estrogen therapy (ET). SANTA MONICA, Calif.–(BUSINESS WIRE)–Results of a landmark study led by a doctor at John Wayne Cancer Institute at Saint John’s Health Center raises serious questions about the long-term survival benefits of removing a woman’s ovaries during routine hysterectomy. The study, appearing in the May 2009 issue of Obstetrics and Gynecology, compared women with benign (noncancerous) reproductive disease who were given a hysterectomy, with either bilateral oophorectomy (removing both ovaries) or ovarian conservation (leaving the ovaries intact). The reader is advised to discuss the comments on these pages with his/her personal physicians and to only act upon the advice of his/her personal physician. Also note that concerning an answer which appears as an electronically posted question, I am NOT creating a physician — patient relationship. Although identities will remain confidential as much as possible, as I can not control the media, I can not take responsibility for any breaches of confidentiality that may occur. Copyright (c) 2010, 2013 Jeffrey Dach MD All Rights Reserved. This article may be reproduced on the internet without permission, provided there is a link to this page and proper credit is given.